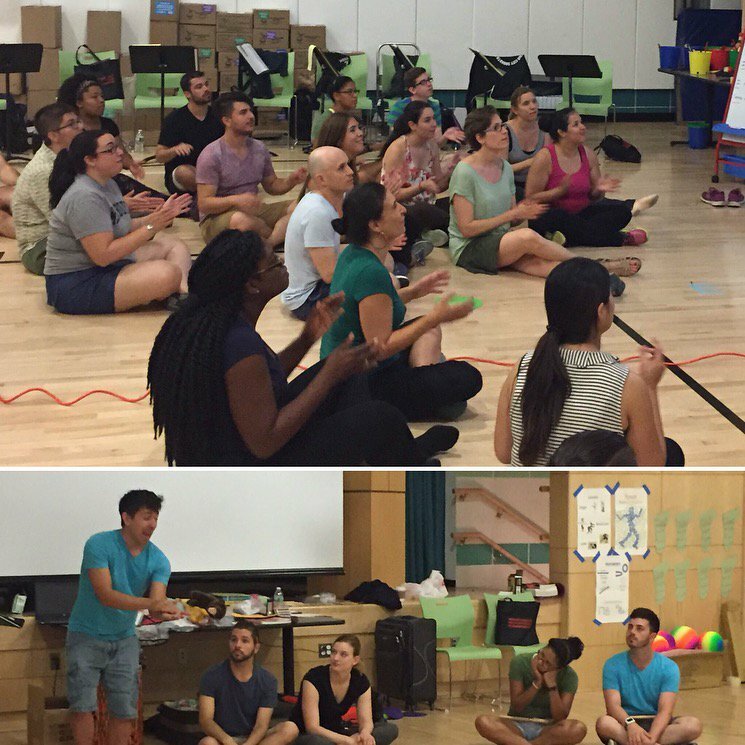 Education Through Music (ETM), a New York City nonprofit focused on rebuilding music education in New York City schools, is providing its first Orff Schulwerk Teacher Education Course, Level 1 as a two-week professional development course to 25 ETM and non-ETM affiliated teachers. This course prepares current music teachers to better serve nearly 27,000 partner school students throughout New York City with high-quality music education, increasing academic achievement and general development. This event is taking place through Aug. 12, 2016, at P.S. 343Q, 45-45 42nd Street in Sunnyside, Queens. ETM partners with inner-city schools to provide music as a core subject for all children, and utilizes music education as a catalyst to improve academic achievement, motivation for school and self-confidence. The nonprofit believes that music should support learning in other key areas, including math, science and language arts, and engaged parents and school communities are key to the success of students. Orff Schulwerk’s teaching model uses active music making in order to “build musicianship in every learner,” and seeks to extend creativity beyond the music classroom. Teachers participating in Level 1 actively learn to use speech, rhymes, poetry, percussion, singing and improvisation to create an active music curriculum for their students. This course is part of ETM’s year-round professional development opportunities for music teachers to ensure the highest quality of music education, taught by qualified and well-trained music teachers. This course workshop is being led by BethAnn Hepburn, an endorsed teacher education instructor for the American Orff-Schulwerk Association (AOSA), and Michael Vasquez, an award-winning, certified AOSA instructor.